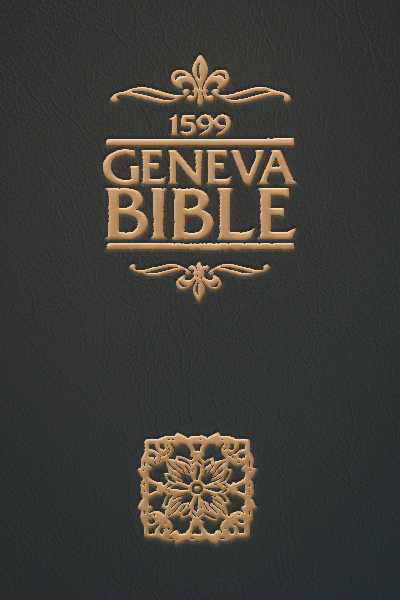 When it was first printed, the Geneva Bible was the most reader-friendly version of the Bible ever translated, with numerous innovations making it ideal for the common reader. The Geneva Bible was the first English Bible to use cross-references and the first to use verse numbers for easy reference and memorization. It was the first English Bible to translate the Old Testament directly out of the Hebrew and the first to be printed in Roman (rather than Gothic) type for easy reading. It was the first English Bible published for the common man and the first "study Bible" with extensive notes throughout to help explain and apply the text. It was also the Bible that the Pilgrims brought to America on the Mayflower. Since the sixteenth century, other Bible publishers have built on the wisdom of the Geneva Protestants. In fact it is nearly impossible to find a version of the English Bible that does not include chapter and verse numbers, cross-references, Roman typography, and a translation from the original source languages in straight-forward contemporary language - all of which were originally unique to the Geneva Bible. The Geneva Bible is one of the most historically influential books in English-speaking history, informing the minds of such literary greats as Shakespeare and Milton. But today's reader will encounter difficulty reading a facsimile edition due to its cramped archaic typography and outdated spellings and word usage. Tolle Lege Press undertook the Geneva Bible Restoration Project for this very reason - to bring this great work to the modern reader. Using the most complete edition of the Geneva Bible - the 1599 edition - the work was painstakingly re-typeset with modern typography and spelling, including all of the original footnotes and translations. This edition removes the major obstacles for the contemporary reader, returning this historic Bible to its rightful place of influence and importance. The original 1599 Geneva Bible gave God's Word back to the people, and Tolle Lege Press desires that the tradition continue.